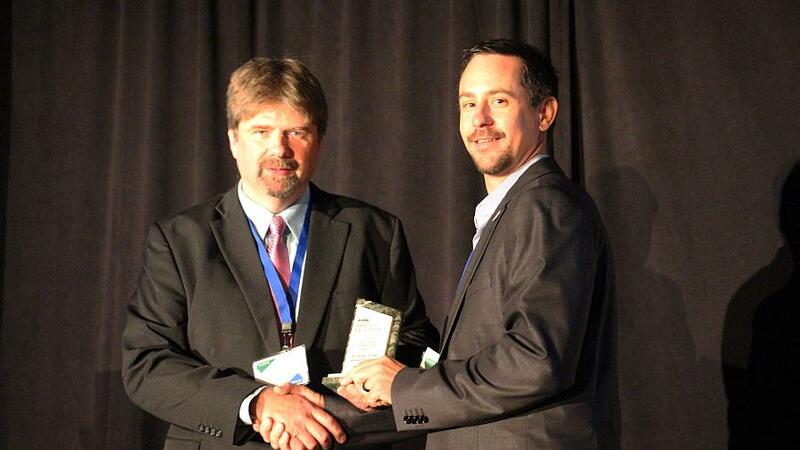 PrecisionAg Executive Editor Paul Schrimpf (left) presents Dr. Brian Arnall of Oklahoma State University with a 2016 PrecisionAg Award of Excellence during the InfoAg Conference in St. Louis. Editor’s Note: The PrecisionAg Awards of Excellence program honored the class of 2016 winners during the InfoAg Conference. This year’s winners include Ag Partners (Crop Adviser/Entrepreneur Award); Brian Arnall, Oklahoma State University (Extension/Research Award); Craige Mackenzie, Methven, New Zealand (Farmer Award); and Marvin Stone, Oklahoma State University (Posthumous Legacy Award). 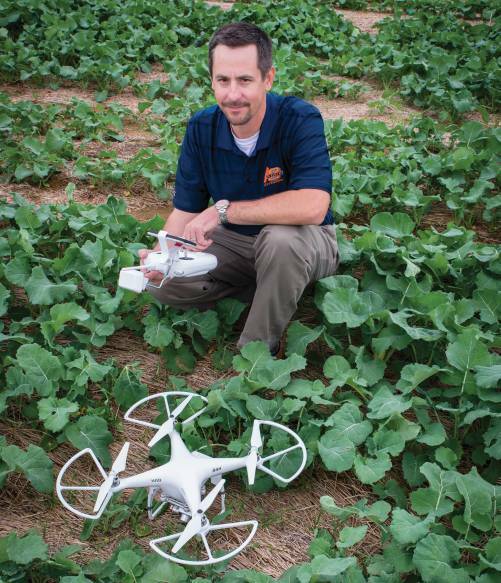 Here is an up close look at Brian Arnall, Oklahoma State University, Stillwater, OK.
As Associate Professor in the Department of Plant and Soil Science at Oklahoma State University, Dr. Arnall handles all three components of a Land-grant Institution: extension, teaching, and research. His program is focused directly on the implementation of precision ag technologies and nutrient management with emphasis on site-specific techniques. 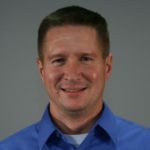 Throughout, he has become well-recognized by peers both nationally and internationally while maintaining leadership roles at both the state and national levels in the precision ag arena. In 2015, he served on 10 MS committees and 3 Ph.D. committees reflecting his devotion to the university education and mentoring process. The impact of his program is demonstrated through the adoption and use of N-rich strips in Oklahoma. In 2008, when his program was established, the majority of the strips were applied by Oklahoma State University. In the 2014-15 winter crops, it was estimated that more than 500,000 acres of wheat and canola within the state had N-rich strips; none were applied by OSU. This increase was due to the visibility of his education program through demonstrations and extension efforts. “Brian is an extremely creative and innovative individual. In his role as an educator, he constantly seeks tools and methods to best instruct and convey information,” Fulton says.